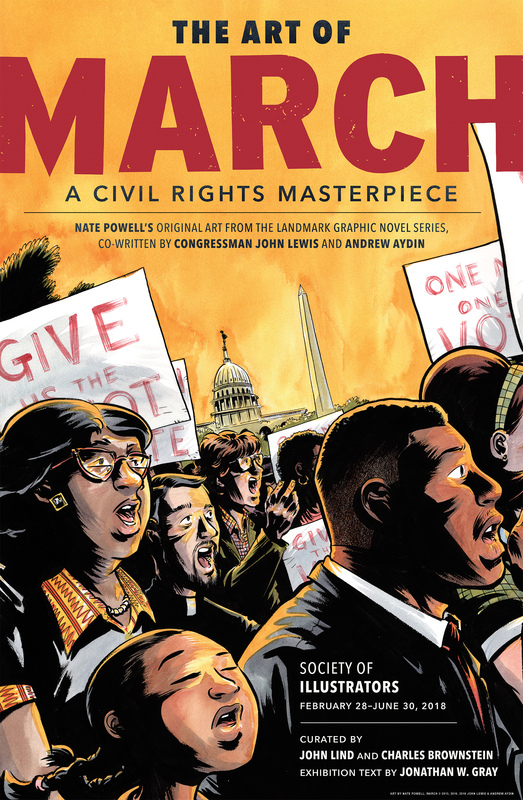 Join Nate Powell, artist of the National Book Award winning MARCH trilogy at a special reception for The Art of MARCH: A Civil Rights Masterpiece on Friday, May 4. Powell will be joined by CBLDF Executive Director and exhibition co-curator Charles Brownstein. Together, they’ll discuss the groundbreaking graphic novel trilogy and its relevance to today’s students, educators and citizens. Don’t miss this rare opportunity to view the original art from this modern masterpiece alongside its creator! This event is hosted and sponsored by CBLDF. Admission is free for CBLDF members and open to the public. Cash bar.